I believe it is important to use these symbols so that ships can get a symbolic representation of the ice-type, when language can be a challenge. I also think that it is important considering future communication between ships in the Arctic. 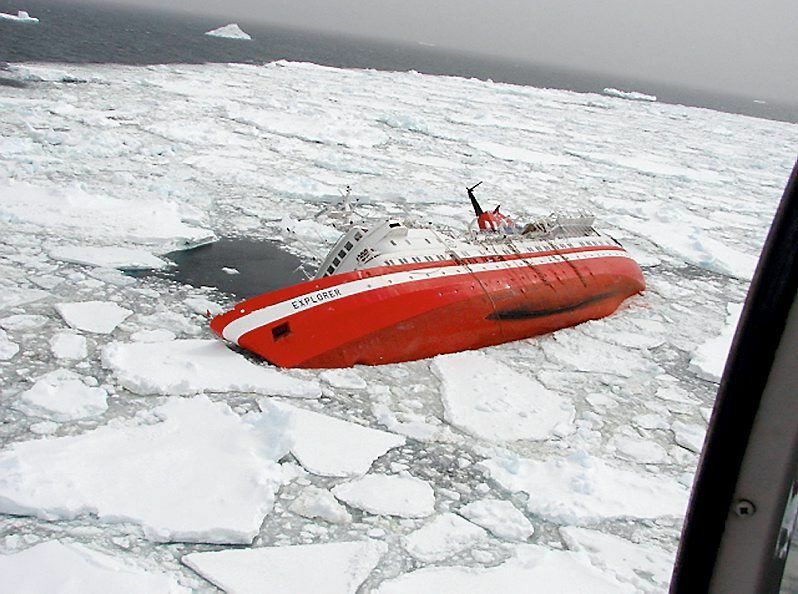 A tagg should therefore include both Ice-symbol, which ice-class the ice demands, the hallmarks so the crew can recognise the ice, and recommended speed to have when breaking through the ice. As we learned when visiting an icebreaker; having the correct speed is crucial to not get stuck. As my co-students Gustav and Chris found out, it is also important that the information is above the horizon, where there is a bunch of space, and do not interfere with whats happening in the ocean, aka. the area where navigators need to have a clear view. 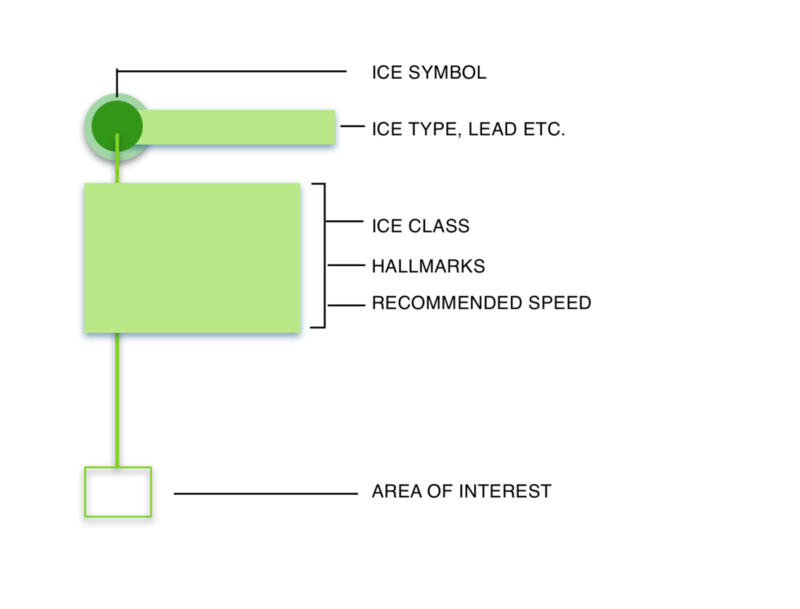 Hence the vertical line between the area of interest, and the rest of the information.